Roller Sports and Hockey Courts. Reduce the wear and tear on your body and your equipment caused by skating on asphalt and concrete. 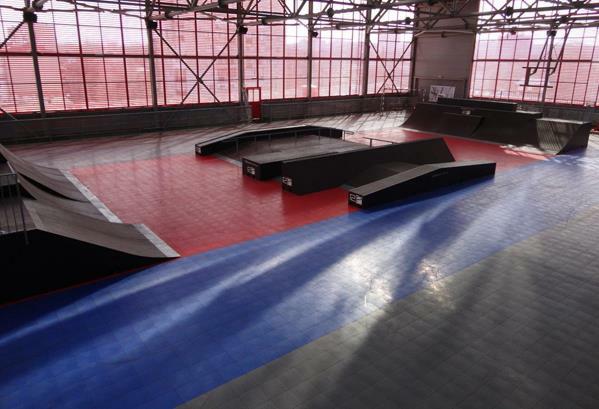 Our roller sports surface provides ideal traction and shock absorption for the outdoor or indoor roller hockey enthusiast. Our modular flooring was specially designed to handle your most aggressive turns, hockey stops, and slides, providing a smooth, fast, fun surface for all the hockey action you can handle. The surface’s tight seams handle high-torque slides and cuts, and the flat surface keeps the ball or puck moving well. Our certified CourtBuilders™ can install high-performance courts quickly and efficiently. We also combine the safest court technology in the world with eco-friendly materials to make your recreational areas the best for your communities and the environment. For every successfull skid, slide or turn, there's the inevitable wipeout. To avoid an especially painful crash, our Sport Courts have patented Lateral Forgiveness™ and superior shock absorption technology which helps you get right back up and back into the game. 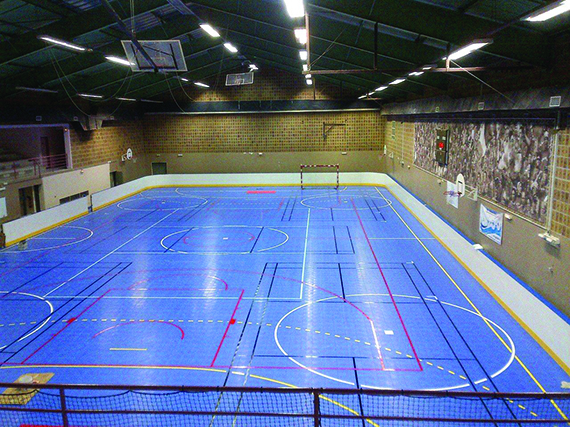 Contact your local CourtBuilder to find out more about Sport Court surfaces designed for roller sports and hockey. In addition to designing and installing indoor and outdoor roller hockey courts, our CourtBuilders also specialize in backyard basketball courts, multi-sport game courts, volleyball courts, futsal courts, tennis courts, netball courts, handball courts, and putting greens.